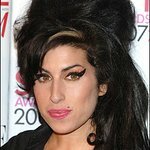 British singer Amy Winehouse has donated over £20,000 worth of designer clothes to a charity shop in London. The star caused a “stampede” as people scrambled to get their hands on the Alexander McQueen and Luella Bartley designs. Winehouse was reportedly clearing out her closet prior to moving house.